Hair dryers are essential tools for both men and women for their hair styling needs. They allow you to blow dry your hair as fast as possible when you are out of the shower. Why Buy an Hair Dryer ? Hair dryers also help in styling your hair. These hair dryers allow you to step out of the house with hair that looks like it was set at a salon. These uniquely designed hair dryer is easy to use and has a sleek design. Get your according to your need and choice. Hair dryers are really helpful when you are running late for college or office. You can also gift these hair dryers to your near and dear ones. So if you’re looking to blow dry your hair as fast as possible, or wanting to style as you dry, you need to buy a hair dryer. How To Choose The Best Hair Dryer ? 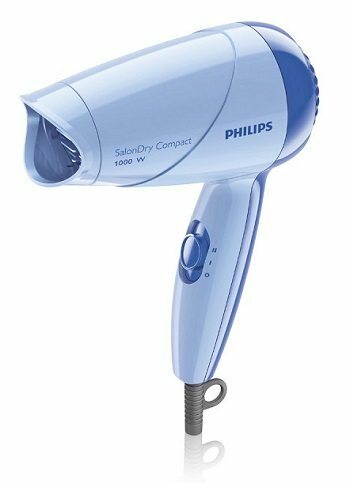 I am going to tell you about what to look for when buying a hair dryer and which are the best hair dryers in India you can buy online right now from the comfort of your home. 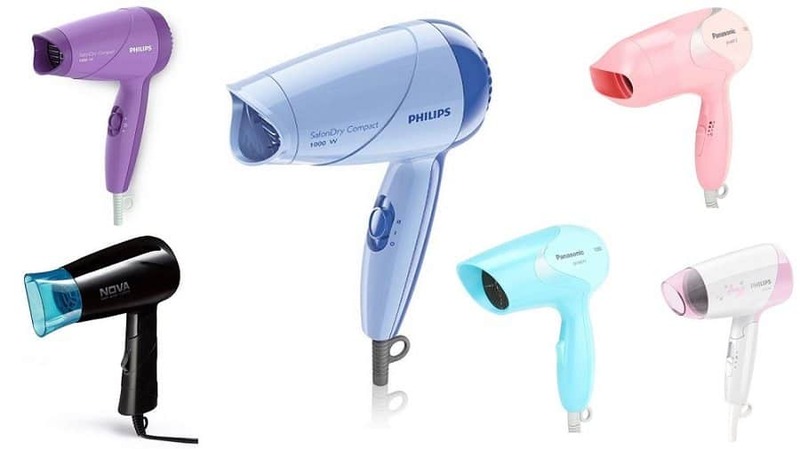 These are top 10 hair dryer that are listed below with their cons and pros. Philips is one of the finest brand that provide high quality products. 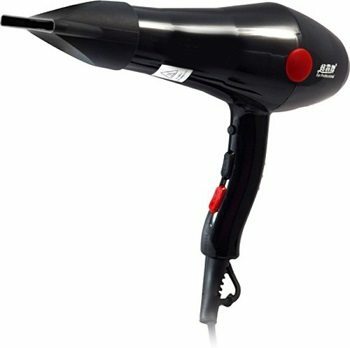 This hair dryer is nice and easy to use with low price and greater quality. 1) This hair dryer has the ion technology that adds shine to the hair and reduces frizz. 2) Comes with a really long cord. 2) This Philips hair dryer is a 1000-watt dryer with 2 flexible speed settings high and low. 3) It comes with 2 Years Manufacturer Warranty. 4) Its got an autocut option internally when over heated , which comes in handy. 1) Not to be used for longer periods , as the will get a little hotter. 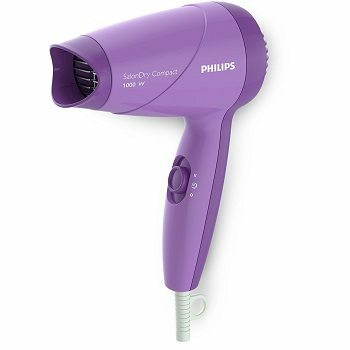 This hair dryer comes in purple colour and it is very useful for those who are looking for a stylish and good looking hair dryer. It works very well and you can use it on a daily basis, especially for college girls, it’s the best deal. 1) The Thermo Protect temperature provides the optimal drying temperature and gives additional protection from overheating the hair. 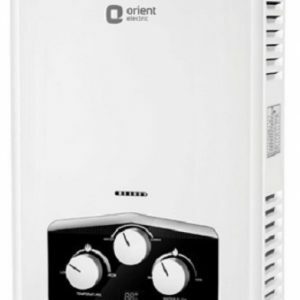 2) This dryer is small in size compare to regular dryers so it is travel friendly. 3) 1.5-meter power cord , which is quite useful. 4) Comes with 2 flexible speed settings for careful drying. 5) Comes with a 2 years Philips India warranty from the date of purchase. 1) It may give a burning smell when used continuously for more that 5 mins. But that is true for most hair dryers I guess. 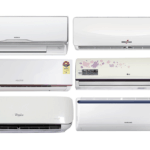 Panasonic is one of the leading brand that provide excellent electronic goods. 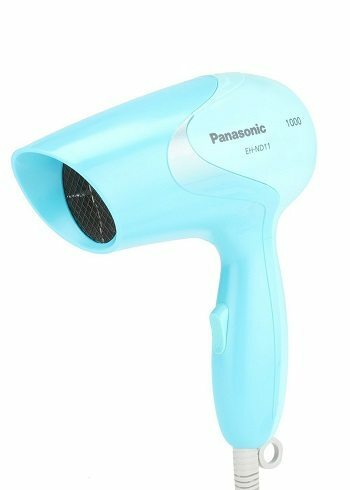 This is one of the finest Hair Dryer by Panasonic. It looks so super cute and stylish and its just that much effective in its functioning. – It also has an option of 2 speed selection. – Comes with even longer cord of 1.8 m length. – Upon using the dryer, you will get hair that is shiny, glossy and free of frizz. This dryer dries the hair so quickly. 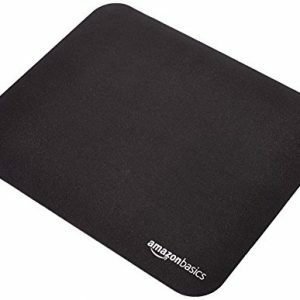 – Its lightweight and that makes it even more convenient to use. 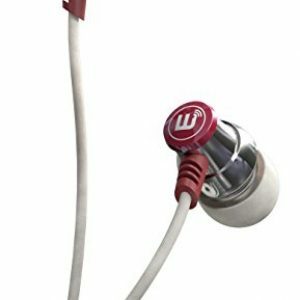 – 2 years manufacturer warranty. – Don’t use it much to dry your hair than styling it as the hair roots are vulnerable when wet, so avoid using hair dryer for that purpose. 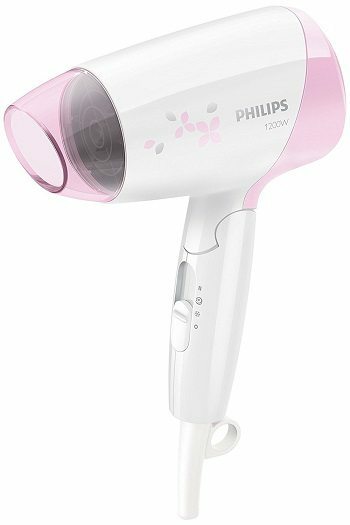 The New Philips Essential Care Dryer HP8120 (Pink) essential care hair dryer serves the purpose well. – It has 1200W power which enables you to dry hair gently and quickly. – It has cool air setting that allows you to dry hair at relatively low temperature to minimize damage and for more gentle drying. – This light weighted hair dryer offers an elegant hanging look design with a cord length of 1.5 meters. – You can make easy adjustment in the air flow thereby making use of the 2 speed settings that are available on the hair dryer. 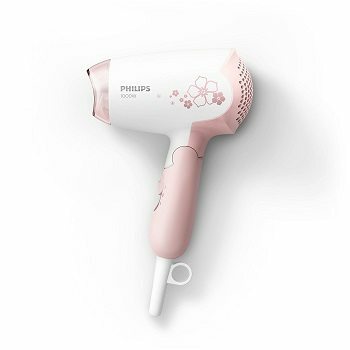 – This Philips Hair Dryer will keep your hair tangle free and after shampoo. – It comes along with 3 different drying settings for your needs , plus with an autocut at high temperature. – a little high price as compared to others. 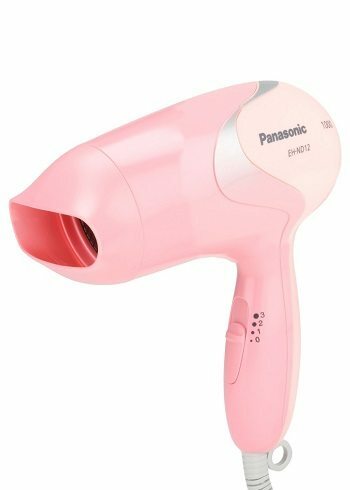 This Panasonic EH-ND12P (Pink) hair dryer comes with lots of features combined with stylish look. Pleasant pink colour adds to you style statement and you would for sure like to show off this colourful product from Panasonic to everyone. – The dryer looks super cute and girly in that Barbie pink colour and is so lightweight that you could use it easily. – The handle gives nice grip too. You can use the “healthy mode” first and then the “cool mode” to seal the shine. 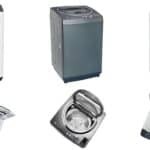 – You can also use this dryer to quickly dry damp clothes in the rainy season. – It comes with an option of Cool Shoot plus 3 temperature settings. – Cold mode is not reliable. 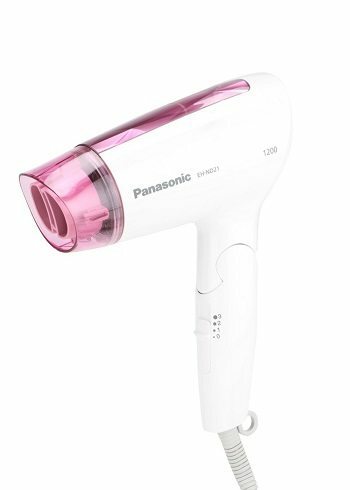 Drying up your hair quickly with utmost ease comes handy with this enticing pink coloured Panasonic EH-ND12-P Hair Dryer. This Hair dryer is loaded with attractive features such three heat settings along with hot and cool air, this amazing product has much more about it. – Its a 1000W hair dryer. It comes with 3 heat settings. This will allow you to use it at max heat or lesser. 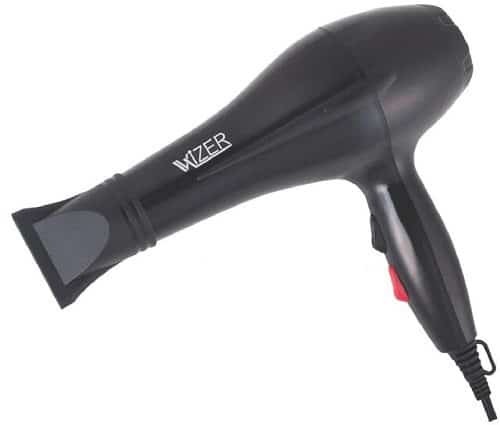 – This Hair Dryer limits the temperature to 50 degrees. – In this Healthy mode exists to prevent any damages to your hair or its root. – Hot air does make hair frizzy specially if used without applying hair products. – Little high in price as compare to others. – Flexible caring settings are designed to meet different drying needs and offer extra care. – It has foldable handle, making it easy to pack, store and take with you anywhere you go. – Users claim that it’s less powerful. Nova brings to your unique personal care and hair styling tools that are trendy, innovative and easy to use. 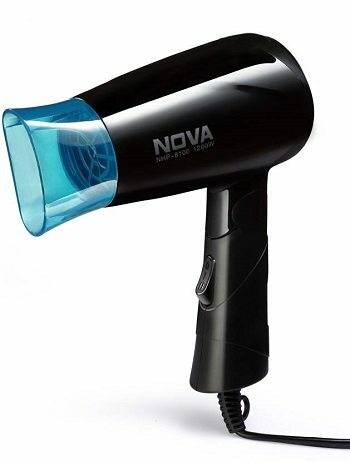 Get salon-like hair styling at your home with Nova NHP-8100 1200 watts Hair Dryer. – It comes with Both the hot and the cold duality aspects which helps it in carefully drying up the hair without any danger. – After usage, you can fold this hair dryer and carry it with ease in your travel bag. 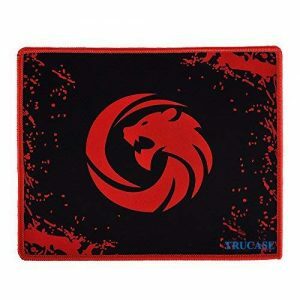 – Comes with 2 Heat Settings For Careful Drying. – Cheapest option out there. – It does not have a speed adjuster. Chaoba, a Chinese company founded in the year 1997 basically designs and manufactures hair styling gadgets for home and business use. – Like any personal gadgets, it is also made using tough plastic, has a long cable, and a slightly curved handle with a few control buttons for adjusting speed or switching between hot and cool air shots. – You will not get any service warranty. Wizer is one of the biggest cosmetic product manufacturers of India, Wizer is one big player in the beauty and salon industry. Switch your shopping mode on as Wizer tools come swaggering in, with tools that give you a salon style, any day, any time. 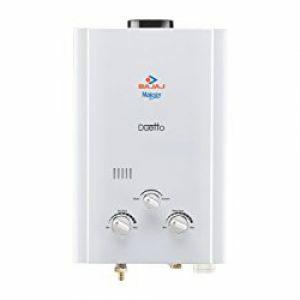 – Comes with temperature and air pressure regulator. – Cable length is 2 meters. – Available in three colours Pink, Black and Green. What Are The Top 5 Best Trimmers Under Rs. 1000 in India ? What Are The Top 5 Best Trimmers Under Rs.2000 in India ? Please do comment below to add your suggestions and feedback , thanks. Awsome details given by you on hair dryer thanks for sharing keep it on.